CRAZY COOL GROOVY!!! : HUMP DAY FUNK: NAPPY DJ NEEDLES - THAT PURPLE STUFF!!! HUMP DAY FUNK: NAPPY DJ NEEDLES - THAT PURPLE STUFF!!! 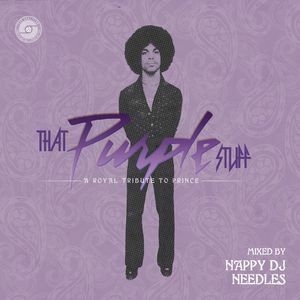 In response to the shocking death of HIS ROYAL PURPLENESS Singer/Songwriter/Producer PRINCE ROGERS NELSON on Thursday, April 21, 2016; on Saturday, April 23, DJ/Producer/Musician NAPPY DJ NEEDLES dropped NAPPY DJ NEEDLES: THAT PURPLE STUFF - A ROYAL TRIBUTE To PRINCE. HAPPY PURPLE STUFF HUMP DAY FUNK DAY!! !